love your site, love the deals! thanks! What a cute gift card! Thanks for all your hard work! I check Totally Target every day! Cute gift card. Another great giveaway. Thanks! would love to win! fingers crossed. I love tottally target,I check it before head in target .great gift! WOOOO HOOOOO! LOVE LOVE TARGET ! I have “Liked” you on facebook already for a loooooonnnnnnggggg time 😉 ! Thanks for the chance to win this awesome gift card! 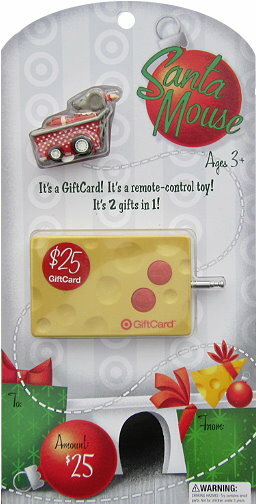 cute giftcard I would love to win! I know I’m gonna win one of your giveaways someday. awesome idea…and thanks for sharing all the great deals! TOTALLY love Totally Target!!! How could anyone not?! I would loe to win the $25 gcard. Thanks!! I “like” totallytarget on Facebook! Thanks!! Thank you for all your awesome deals, Totally Target! Wish Facebook had a “Love” button! What a neat gift card! My son would love this.